The ad is uplifting, inspiring, and, most astounding of all, it asks its customers to think about the consequences of their actions, and not just at the cash register. 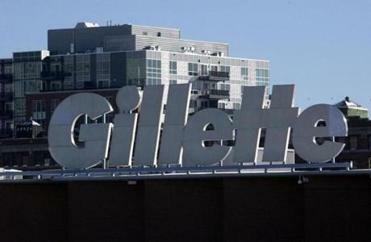 Gillette’s “The Best a Man Can Be” ad debuted Monday, and by Tuesday it was a viral sensation. If you need proof that the Gillette ad is necessary, just go to Twitter and search #BoycottGillette. Make sure you take your blood pressure medication before you start reading. Users complained that the Gillette ad is part of the “pussification of America,” and that the company is “hell bent on destroying males.” Piers Morgan tweeted that Gillette is “eager to fuel the current global assault on masculinity.” Many more of the complaints aren’t suitable (or worth) repeating here. Someone thought they were being clever by writing, “Gillette, the best a trans can get,” presumably referring to transgender women. Obviously not all who criticized the ad are hateful humans who oppose its message. Some men simply have no interest in mixing their shaving cream with politics. But as of Tuesday afternoon, callous comments were running 10 to 1 over positive on YouTube, and hateful language and slurs were plentiful. Do you know who isn’t taking to Twitter to complain about the Gillette ad? Those of us who have been bullied, beat up, and sexually victimized. When I watched the ad, I didn’t see tanks gathering at the border of masculinity. I saw myself, and it nearly brought tears to my eyes. When a teenager is shown running from a pack of boys who eventually catch him and begin beating him, I flashed back to a pack of junior high bullies who slowly started tormenting me with spitballs and eventually worked their way up to punching me in the back of the head whenever they walked past me. In the eighth grade, I skipped school for three weeks, not because I didn’t like my classes, but because I was scared of the bullies and too ashamed to talk to anyone about it. I have wonderful parents, but I didn’t want to feel as if I was letting them down. I kept quiet. Instead, an older man who could spot an easy 14-year-old target circled and made a move on me. More shame, more silence, more isolation. This all took place during the 1980s, which is practically the Dark Ages when it comes to bullying and LGBTQ issues. The world is a more enlightened place. Or at least that’s what I sometimes think. Then, suddenly, a highly evolved advertisement for razors (!) jerks me back to reality. I made the mistake of reading Twitter and YouTube comments and realized that the hate is still there, only it’s expressed behind the cowardice of screen names and shady profiles. Of all the negative tweets and comments, Morgan’s is the most chilling of all. It has an undercurrent of excusing poor behavior, objectification, and assault of women. Listen carefully, guys. No one is trying to take away your freedom. A commercial for razors is not a rallying cry for an imaginary war on masculinity. When I watched the ad, I didn’t see tanks gathering at the border of masculinity. I saw myself. 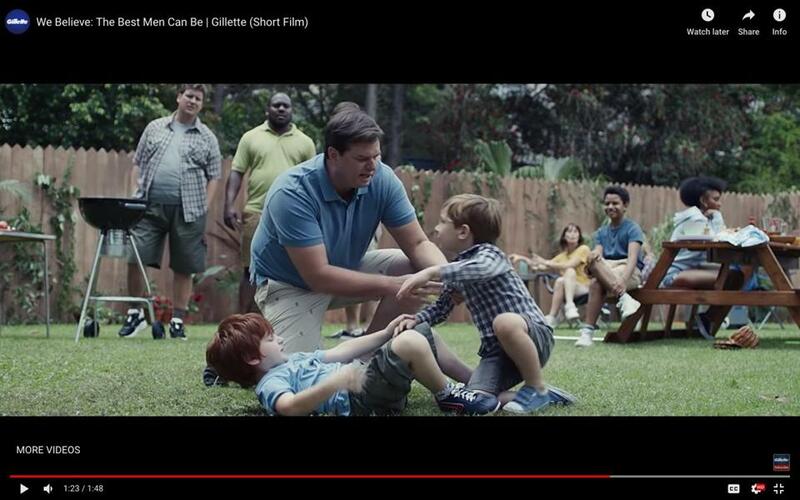 Many of the hundreds of thousands of complaints against “The Best a Man Can Be” come from men who feel that the ad, which was directed by a woman, paints all men as bullies, sexist, or predators. I’m not an advertising expert, but it’s clear to me this ad isn’t calling you names. It’s asking you to be an example to your children by not calling other people names. This ad is not trying to emasculate you; it’s asking you to treat people with respect. I do have one gripe with the ad. I wish it had debuted during the 1989 Super Bowl rather than the original “The Best a Man Can Get” ad, which was a halcyon vision of sweaty feats of athleticism, featuring Wall Street bros with women as arm candy and father-son bonding. If the younger, more timid 1989 version of me had seen the new ad, perhaps I would have spoken up. Maybe I would have fought back or been able to help a close friend who was bullied to the point of suicide. I can’t turn back time, so instead I’ll defend Gillette against the naysayers who are somehow offended by its positive message. This soy boy is no longer afraid. globe.com. Follow him on Twitter @chris_muther.